It’s the thing I most love, except for my relatives. I need this marble when I arrive home from a day of shopping or business. And I recover immediately when I look at those three maidens. They sooth me with their rhythm, that balance of movement, so charming, so pitre … This marble is already part of my soul. 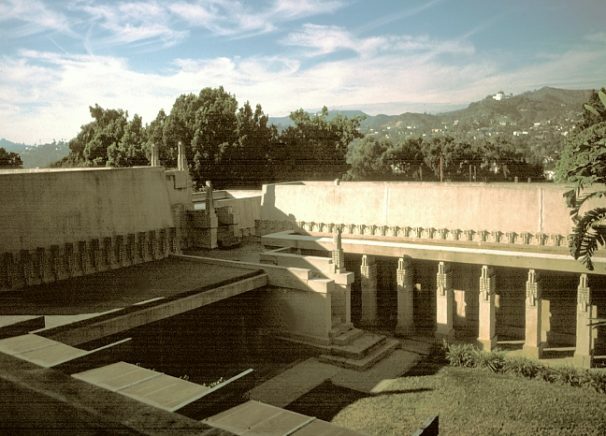 So spoke the arts doyenne Aline Barnsdall, who commissioned architect Frank Lloyd Wright to build a bohemian arts complex on a gentle vista in East Los Angeles called Olive Hill. 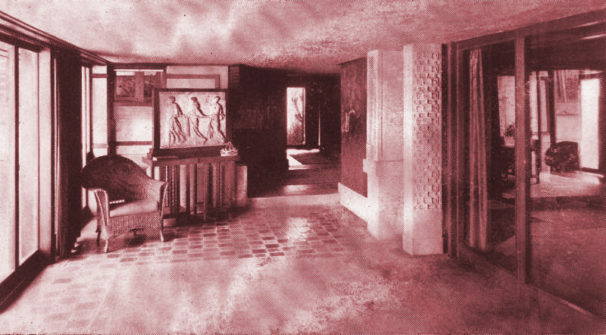 The Mayan-style Hollyhock House made its debut circa 1919/20. Featured in the hearth of the home was dance! A beautiful stone bas relief dating to the 1st Century AD hung at Hollyhock. The relief, which went missing from that place for decades, has been in the loving hands of the Santa Barbara Museum of Art. It is now joyously restored to its rightful place. Height: 2 ft. 4 ¾ in. ; width: 2 ft. 11 ½ in. ; depth: 3 in. Read more about the fascinating provenance of this work here. newerDance on, three nymphs, at Hollyhock House!